This is a dramatization of Paul Brickhill's best-selling novel about World War II. The documentary series focused on the 617 Dambusting Squadron and is full of air force adventure. 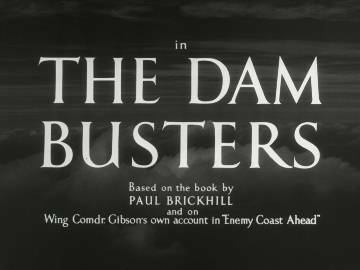 There were 26 half-hour episodes, and the cast also featured Charles "Bud" Tingwell Operation Chastise was an attack on German dams carried out on 16 â 17 May 1943 by Royal Air Force No. 617 Squadron, subsequently known as the "Dambusters", using a specially developed "bouncing bomb" invented and developed by Barnes Wallis. The dams were breached, causing catastrophic flooding of the Ruhr valley and of villages in the Eder valley, while the Sorpe dam sustained only minor damage. The CD contains all 26 half hour episodes with excellent sound quality.